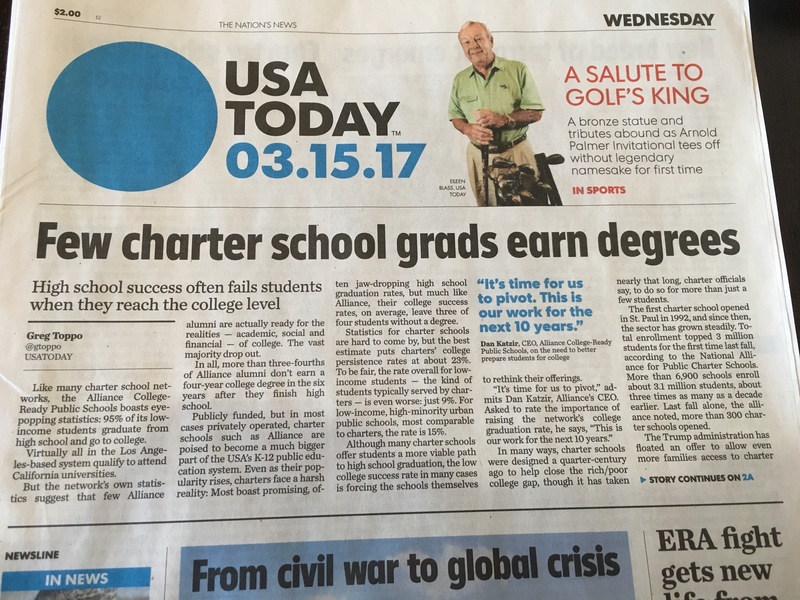 Read the following headline; sounds pretty negative regarding the performance of charter schools doesn’t it? 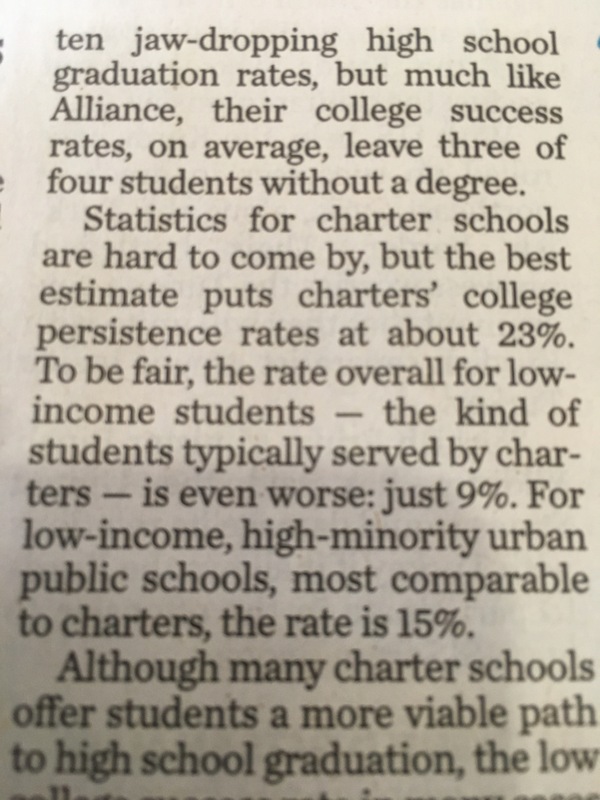 I guess charter schools can’t deliver positive results as claimed. Now read some details from the same article… “to be fair”😱. In fact, by comparison charter schools do quite well for low-income students. Two and a half times better than low-income students in general and one and a half times better than public schools … but you sure wouldn’t know that from the misleading headline. It also turns out there are other social and income factors that impact college success. All news is propaganda. It is slanted right or left to serve a purpose for who ever is pushing the story. Believe half of what you see and none of what you hear. That way you can make some sense of this world. The biggest problem with the public school system is the management is paid way to much, so the teachers in the classroom get less and they are doing all the work. $300,000 per year in some of our bigger cities for a school superintendent is ripping off the taxpayer. In the teacher unions’ pockets.